When checking my up and downloads speeds on TBB or Speednet, the max upload I can can achieve is around 3.9Mbps. When using the BT Wholesale checker, it is around 8.1Mbps. Is this a similar experience to other FTTC users? Could it be your PC ? 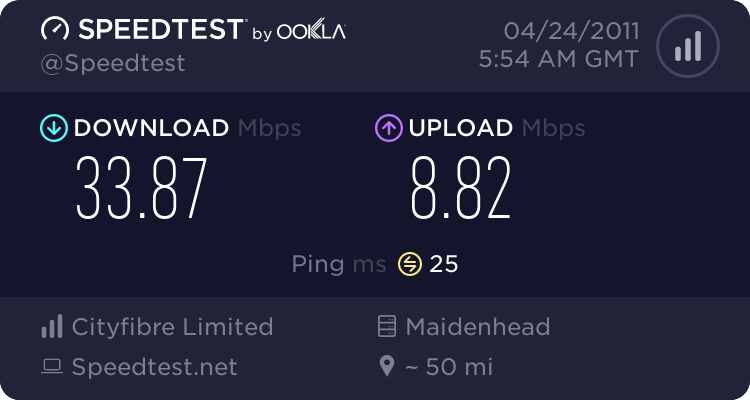 I use a very crusty old PC which runs like a dog, the speed test below is pretty much what I always get on this machine, but shows much higher if using my sons laptop, a much newer machine. I know for certain that that my sync is stable. Dont think it is down to PC. I have tested with both my home PC, which is a quite new Dell XPS with a good spec and my work laptop, a brand new Lenovo Thinkpad, again which I believe is a good spec. 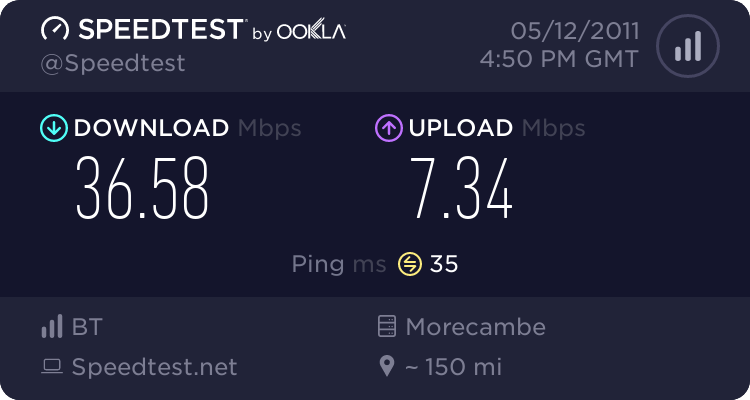 The TBB speed tester seems to have some issues with FTTC connections. What does the Speedtest.net site say?? The Speedtest.net test give the same results. Yes I have been having the same issue for a while. Upload speeds on all other sites seem to be fine though including ftp uploads. I will have to check the speedtest.net one again as see what happens. If you have webspace anywhere, try uploading a decent size file to it and see how long it takes. Should give you a pretty accurate idea of the actual functional speed. The TBB has always been inacurate for me, the flash version is better but still way off.